INSÒLIT is a Temporary Installations Festival in the Patios of Palma that aims to promote the city’s rich architectural heritage through temporary creative activities. INSÒLIT is a cross-disciplinary event that uses cultural action to respond to and bring together three key aspects of Mallorca’s territory: culture, heritage and creativity, focussing its efforts on the city of Palma, more specifically its Old Town, where these three factors converge. La Insòlita. 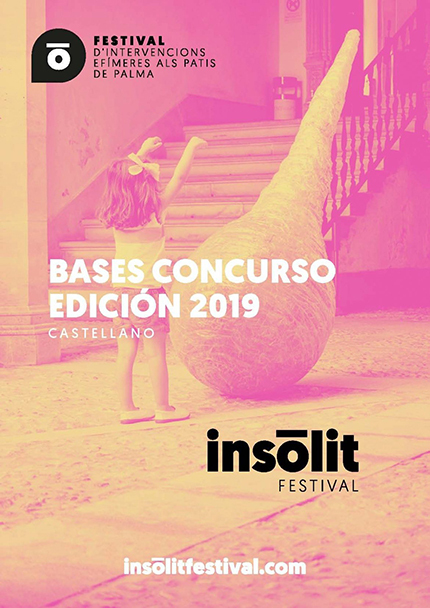 Plataforma de Iniciativas para la Acción Cultural (Initiatives Platform for Cultural Action), the commissioner of the INSÒLIT Festival, has organised a public competition to select temporary installations that will be constructed in the patios that are part of the 2019 INSÒLIT Festival. This entry was posted on Tuesday, January 29th, 2019 at 12:32 and is filed under calls, competitions and prizes, festival, gardens, news, paisea, public space, without category. You can follow any responses to this entry through the RSS 2.0 feed. Both comments and pings are currently closed.